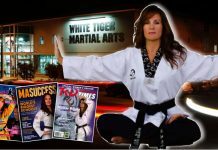 Martial Arts Blogging creates attention and can help you attract more traffic to your martial arts web site and more students to your school. Imagine you’ve been walking in the woods for hours; you’ve long-since drained your canteen, and you’re thirsty. You see a puddle of stagnant water just a few feet from your path. It appears to be four inches deep. Mosquitos and gnats buzz above it. They land on the puddle’s surface, and take off again. But off in the distance you hear the rush of a river. Fresh flowing water, moving so fast it foams white with spray. The rocks in the river look clean enough to eat from. Life in the river thrives; the grass, the fish, the water itself. Clean and clear, all of them. From which body of water would you rather bend down to drink? And it’s why a business needs to keep growing in order to survive. If you run a dojo you have to keep growing. Students leave for an endless list of life changing reasons. Even if your dojo and students are “one big happy family,” people still move away for career reasons, higher education, or other life-changing events. 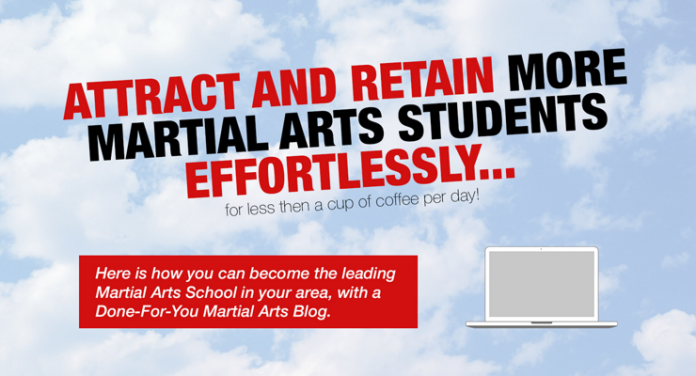 From what I’ve seen as an online writer and editor at About.com, and in my Martial Arts Blogging business, a blog creates that fresh influx of attention your business needs to enroll new students into your dojo. This is how you win ground like an army on the march; your blog posts advance into the public’s eye, they capture the attention of more and more people in your community, and they win their hearts and minds. Want some help winning more hearts and minds in your community? Contact me. 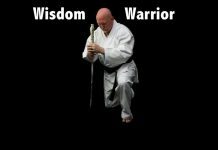 I offer free consults and free trials for my Martial Arts Blogging services. 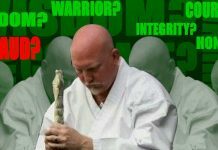 E-mail Brian Carmody at Brian@martialartsblogging.com. How To Use Content Marketing To Get More Students and Keep The Students You Have! Brian Carmody is a professional blogger who was trained by the New York Times. He knows what it takes to write a blog that attracts readers!! !